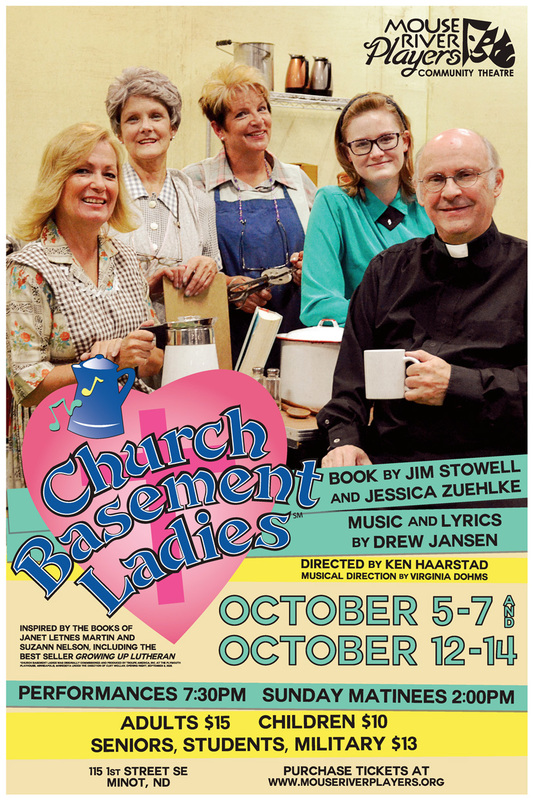 Church Basement Ladies is a musical comedy, book by Jim Stowell and Jessica Zuehlke, and music and lyrics by Drew Jansen. The story is about the ladies that work in the church basement cooking meals for church functions. The musical is inspired by the humorous book Growing Up Lutheran, by Janet Letnes Martin and Suzann Nelson. Published in 1997, Growing Up Lutheran is a humorous "scrapbook of memories" of what it was like to grow up Lutheran in the Midwest in the 1950s. In addition to their best seller, Janet and Suzann have written numerous other works, and have performed together as "Those Lutheran Ladies" around the country. Their lives and writings have inspired five additional Church Basement Ladies' musicals.